This is a gift the priest/ess brings before Isis the Divine Mother: an invocation offering for the children. 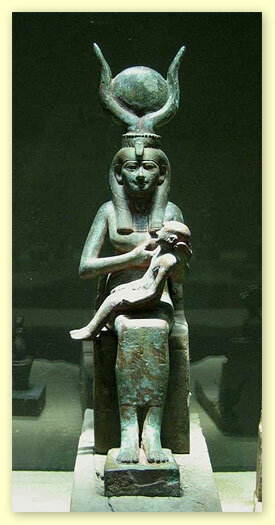 In the best of times, we bear our children in love, a completion of the sacred triad: Isis, Osiris, Horus. Other times, we bear them by accident, then do the best we can: Nephthys, Osiris, Anubis. In this, O Isis, we are more raw than Nature. Therefore this offering—on behalf of the world’s children, Goddess—is for their parents. Fill their hearts, Goddess, with Your heart. Fill their arms with Your strength. Fill their minds with Your wisdom. O Isis, may You, and we, protect our children. May You, and we, feed them. May You, and we, heal them. May we take the children to our laps, O Great Mother, and recognize each of them as our own. Unto You, O Isis, I give this offering for the children and all things beautiful and pure. M’den, Iset. Accept it, Isis. Next Next post: What are you wearing to the festival?